Roller coasters are pretty scary. Some of them go fast, some of them go upside down. And some of them make your son, Callum, disappear. 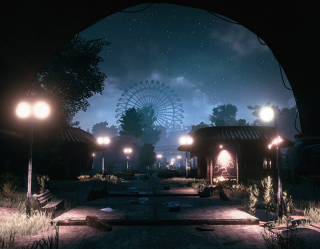 Well, maybe not the roller coaster itself, but in The Park, a new single-player horror game from Funcom, you play as a mother whose son goes missing in a creepy amusement park. It’s their first single-player game since 2006’s Dreamfall: The Longest Journey and draws upon the existing narrative universe in their MMO The Secret World. While the trailer and release don’t detail how The Park will play, I’m into the premise and idea of pulling stories from existing universes as a place to experiment with shorter narrative games. The Park comes out this October.